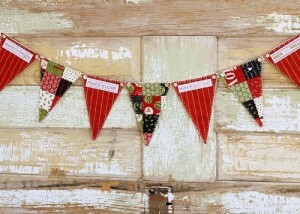 Christmas Fabric Ideas or what is it that time already??? Christmas Fabric and Ideas for quick and easy decorations! So it’s GETTING to that time of the year!! Still loads of time to get crafting to make lots of nice things for Christmas. We have a nice selection of Christmas fabric available in the shop along with some nice plain cottons for contrast – reds and greens. More Christmas fabrics have been ordered as stocks are flying out of the shop the past few weeks, I’ll let you know as soon as they arrive! Some easy projects to make your home decorations a little more crafty. 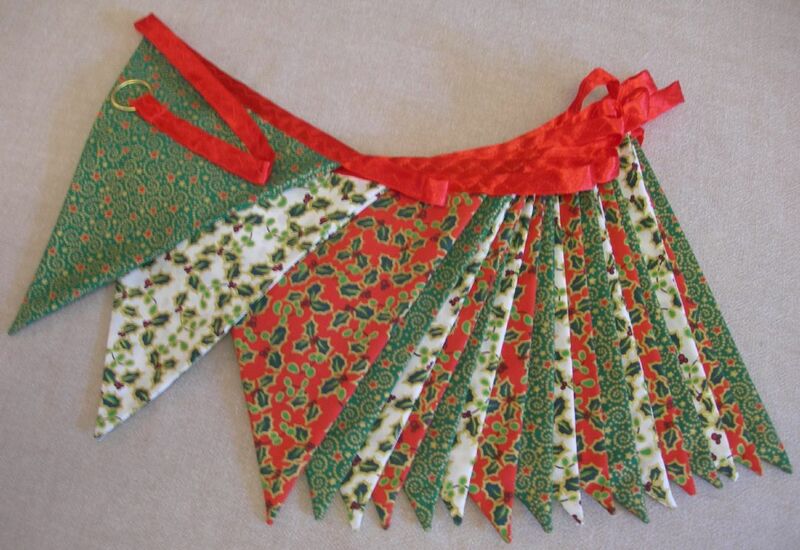 Above is a tutorial to make a skirt for your christmas tree – I’m definitely going to make one of these this year. Just have to decide on what fabric to use! This red holly fabric might just do the job with plain green cotton poplin for contrast. 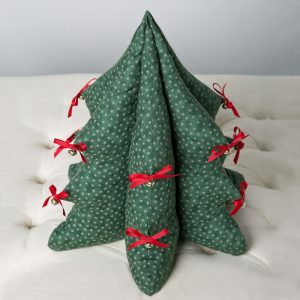 Sewaholic Patterns have released this cute Christmas tree pattern and it’s FREE! How about some christmas bunting – simple and easy to make – you could make mini bunting to wrap around your tree or regular sized bunting to hang over the fireplace! Happy Crafting – I’m off to the Knitting and Stitching Show tomorrow – Friday, I’m so excited!!! Say hi if you see me.